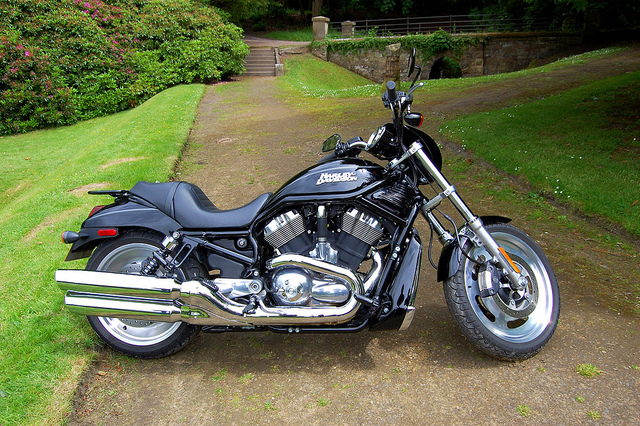 One of the most-famous and iconic manufacturers of motorcycles is Harley-Davidson. The American company’s been making bikes for several decades now, and their models can get seen around the world. The thing I like about Harley-Davidson motorcycles is their tuning ability. It’s a well-known fact that some motorcycles offer little in the way of customization or tuning potential. But I’m pleased to report that’s not the case with Harley-Davidson! As you’re reading this blog post, I am going to assume that you are the proud owner of a Harley-Davidson motorcycle. If you want to give it a tune-up, today’s handy guide will tell you all you need to know. Feel free to bookmark this page or share a link to it on Facebook and Twitter! Believe it or not, the first area you should start with is your Harley’s wheels and tires! They are important components of your bike and help to keep you safe on the road. Starting with the tires, inspect the sidewalls and the treads for evidence of cracks. If you see any, you should get your tires replaced with brand new ones. Cracking is down to heat fatigue due to the rubber compound in the tires hardening up over time. If you keep riding your Harley with cracked tires, you can pretty much guarantee a blowout at some stage. On a car that’s not too bad as you’ve got three other wheels to help you maintain control. But on a motorcycle with just one “good” wheel and tire, that’s bad news! If you’re not sure whether the cracking is severe enough to warrant buying a new tire, get it checked over by your local tire shop. Next, inspect the wheels. What you’re looking for are any dents or deformities in the wheels. You should also check for rocks embedded between the tires and wheels. If you spot any, have a tire shop remove them for you and check the condition of the wheel and tire. When you’re done, the last step is to ensure that your tires get inflated to the correct pressures. 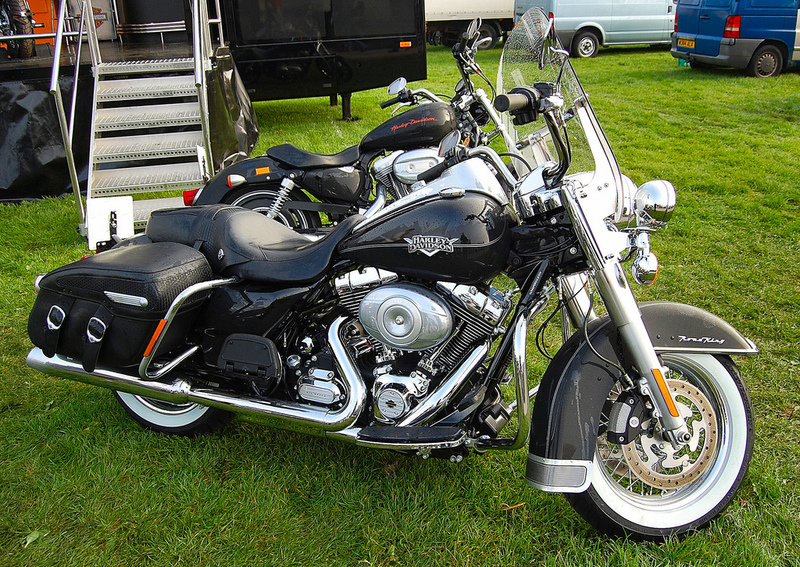 Consult your Harley’s owner’s manual for details on what the correct pressures are. Your motorcycle’s brake rotors, pads and calipers need to be in top condition. There are no exceptions! The braking system is the thing that will stop you from ending up injured or worse. They should get checked on a regular basis (along with your wheels and tires, of course). I don’t need to explain what would happen if you had brakes that didn’t work, as I’m sure you can use your imagination to figure it out. Let’s start by inspecting your brake pads. You can do this by removing the caliper or having a look underneath. You will doubtless know how much friction material is on brand new pads, so think about that when looking at your own pads. If they don’t have much life left on them, get them replaced as soon as possible. Changing the brake pads is an easy job. In fact, it’s easier and quicker than changing them on a car! While you’re at it, inspect the condition of your rotors. If they have deep grooves in them, they will need replacing too. Once you’re done, put everything is back together on your Harley. Next, check the caliper operation by operating the brakes from a slow speed. If your brakes don’t “feel” right, it’s possible you’ve got air in the hydraulic lines, and so you will need to “bleed” your brakes. If you bleed your brakes and there is still a problem, there could be an issue with the calipers themselves. The most common cause is usually a sticking piston. If you’ve got the skills and knowledge, you can rebuild your calipers with a repair kit. Otherwise, you’ll need to get it repaired by a bike shop or buy new calipers. Some Harley-Davidson owners choose to upgrade the rotors, pads and calipers to “high-performance” models. If you want to perform this upgrade, check that your insurance policy allows you to do that. Otherwise, consider buying some Harley-Davidson motorcycle insurance from an insurer that allows modifications. Not telling an insurer about modifications can render your policy void. That’s bad news if you get pulled over by the police or get involved in an auto accident! As a matter of course, all motorcycle owners should check the condition of their chains before they set off for a long journey. Check how slack the chain is. Does it feel too slack? If it does, you will need to tighten it up with the wheel adjusters. You must also inspect the general condition of the chain. I recommend giving the chain a clean first using a sponge and warm water, or a pressure washer. Just be careful when using the latter! When the chain has dried, check for signs of rust. If you see any, take the chain off and soak it with a rust removal product. After you’ve done that, put the chain back on. The final step is to lubricate the chain and check the tension of it afterward. Now that we’ve got the other stuff out of the way, it’s time to give the engine of your Harley-Davidson a good tune-up! The first step is to give your engine an oil change. Some folks take the opportunity to give the engine an oil flush first before draining the old oil. If you change your oil as per Harley-Davidson’s recommendations, you shouldn’t need to do an oil flush. Be sure to use only the recommended oil for your motor. Next, remove the spark plugs and check their condition. At this stage, you could change them for new, upgraded items. Drain your coolant and replace it with new fluid. Your Harley-Davidson will now be running in tip-top condition! If you’re new to DIY motorcycle maintenance, there are plenty of online guides that can help you out with your specific model.